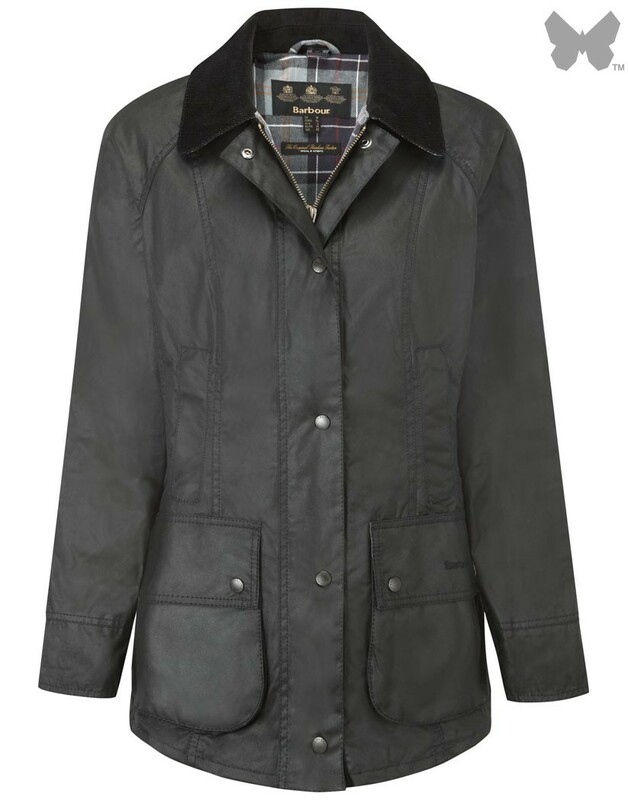 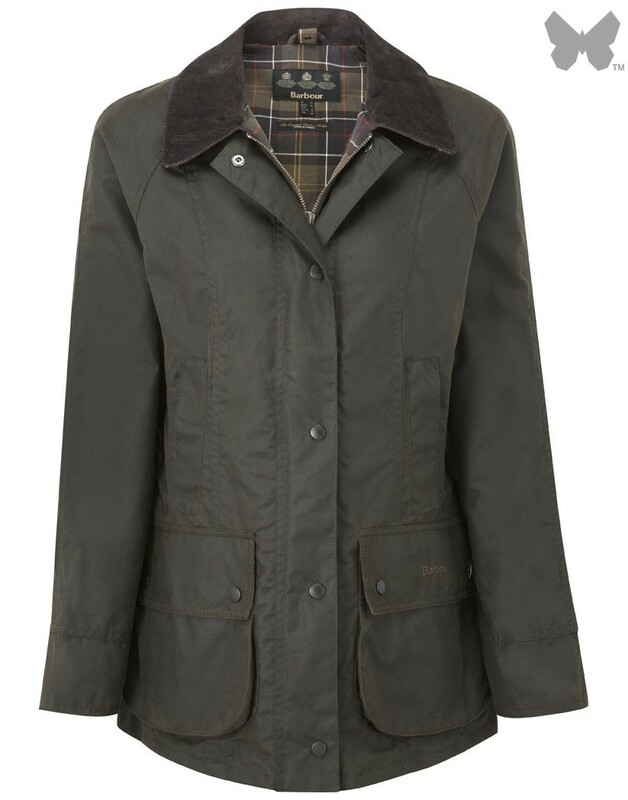 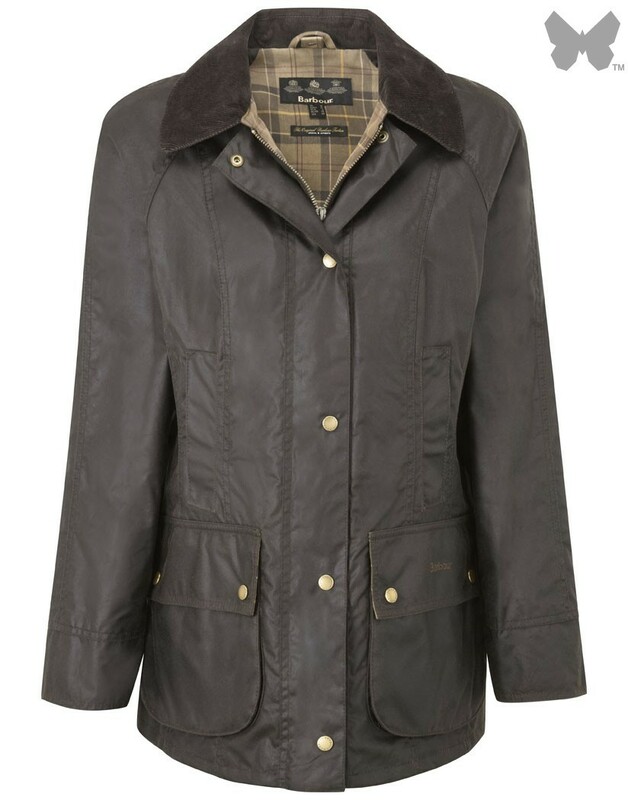 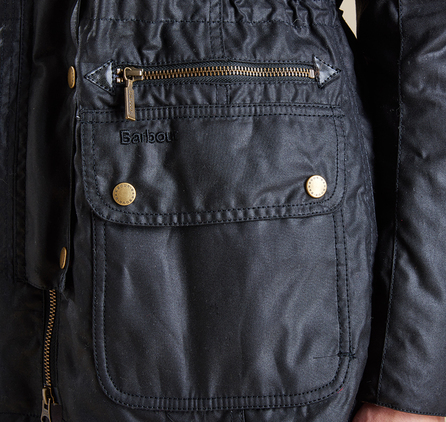 Made with Barbour’s signature lightweight 6oz Sylkoil waxed cotton, the Kelsall is designed for foul winter weather. 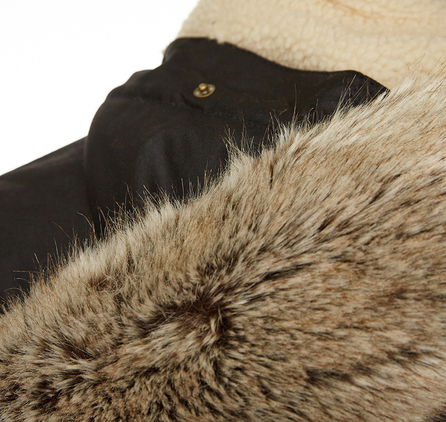 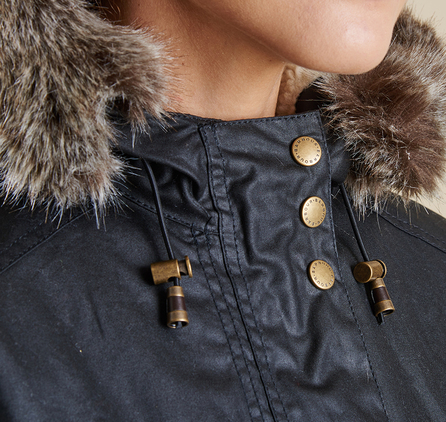 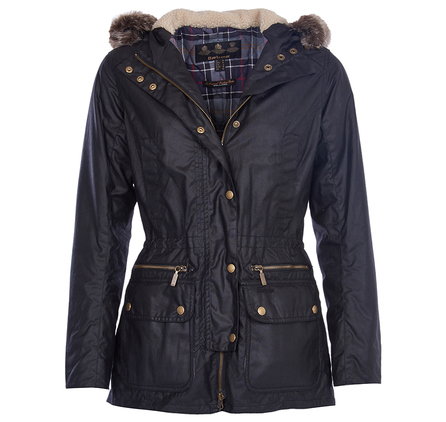 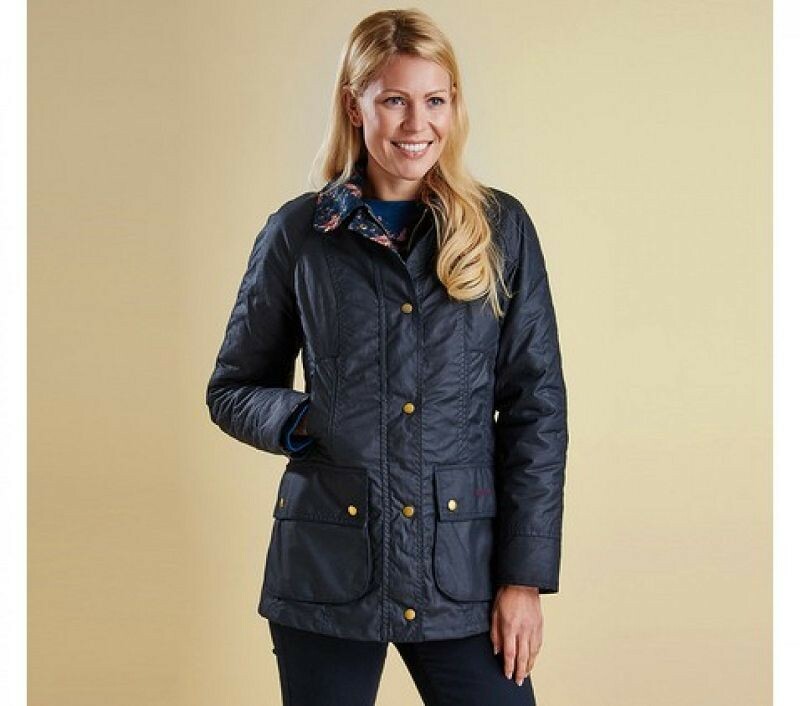 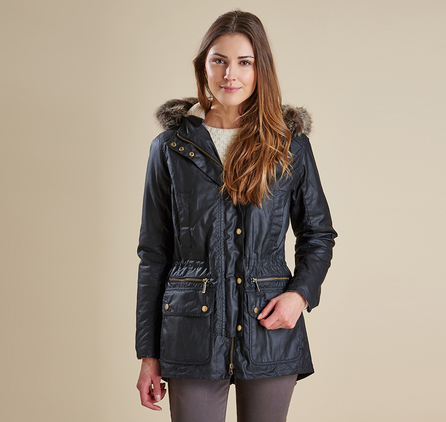 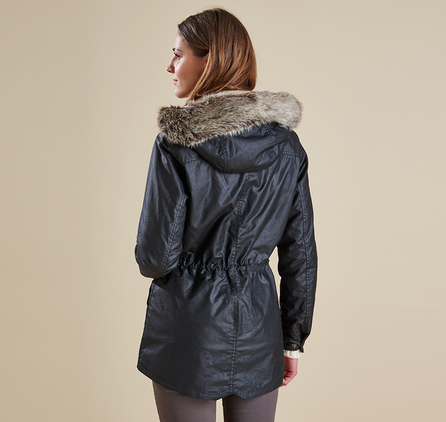 A roomy fleece-lined hood with removable faux-fur trim, soft hand warmer pockets, a two-way ring-pull zip with studded ‘Stormfly’ front to ensure warmth. 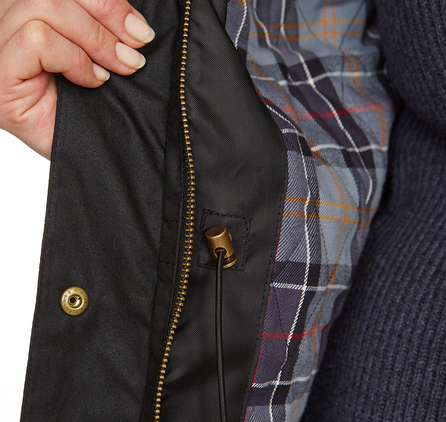 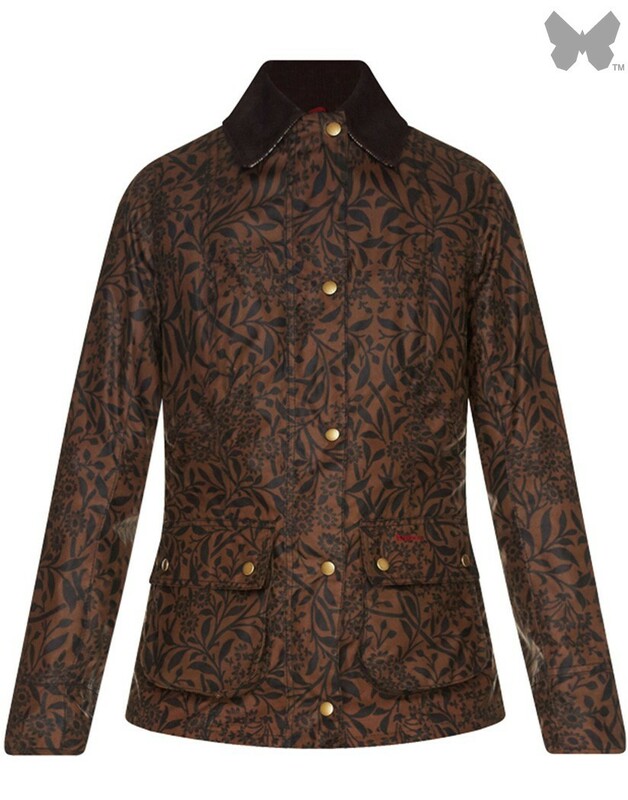 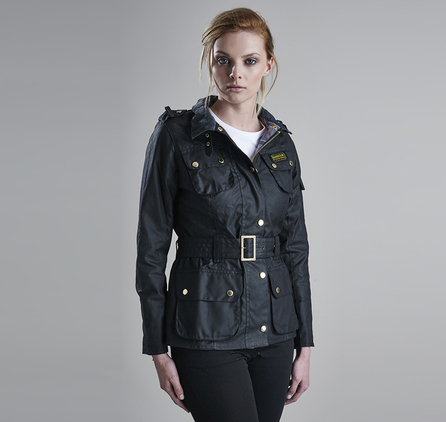 The draw cord waist and shaped hem add a feminine look to this relaxed, modern-fit jacket.